Vermillion County (pop. 16,212), long and narrow, is south of Warren County, between Illinois and the Wabash River. It reached its peak population of 27,625 in 1920. It is the only Vermillion County in the U.S. Across the border in Illinois is a Vermilion County (with one “l”), and Louisiana has a Vermilion Parish. 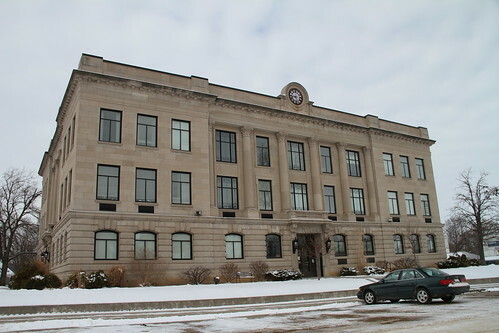 The county seat of Vermillion County is the town of Newport (pop. 515), second-smallest county seat in Indiana. The Newport Antique Auto Hill Climb dates from 1909 (with interruptions). The largest city in Vermillion County is Clinton (pop. 4,893). Many of its early citizens were immigrants from Italy, Austria, and Scotland who worked in the local coal mines. Its population in 1920 was 10,962. 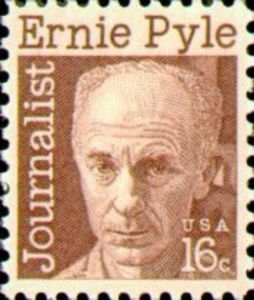 Journalist Ernie Pyle (1900-1945) was born on a farm near the town of Dana (pop. 608). He died in the Battle of Okinawa. This entry was posted in Indiana and tagged Ernie Pyle, Ken Kercheval, Newport Hill Climb, Vermillion County.